Welcome to this Paradise we call Scottsdale! Thank you for this opportunity to serve you with your real estate needs! I am Susan Paplaczyk, an Associate Broker and top-producing agent with RE/MAX Prime in Paradise Valley. My forte is specializing in using my professional experience and personal touches to help families just like yours, buy and sell luxury homes in Scottsdale. I will treat you like you would expect while selling or purchasing a valuable asset, not like a listing or a number. It is this level of personalized service that sets Susan up Above the Crowd! As a veteran Realtor, I am experienced in guiding you through your entire relocation process. I am proud to be affiliated with an elite team of industry related professionals to make your move easy, while using my exclusive access to obtain additional discounts and benefits for your family. 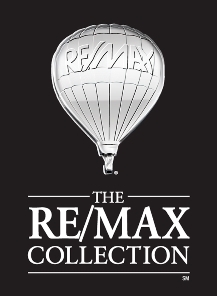 This magnificent team features the national power of RE/MAX with offices throughout the Valley of the Sun, Mortgage Professionals, Title Companies, Home Inspectors and other home related service professionals. Refreshingly, you will obtain Nordstrom type service from all these tried and trusted professionals. As a Valley of the Sun resident since 1980, I pride myself with vast community knowledge and utilize my Scottsdale day to day living experiences to be an effective marketer of properties. As an active member of this vibrant community, I enjoy volunteering at school, church, while working and mingling with my neighbors at community events. I am blessed to call this paradise my home and look forward to sharing it with you! Please explore my website and begin searching for your very own slice of Paradise in Scottsdale! When the very best is the only option. Call today to put my experience and expertise into action for YOU!